Wonder how Lucidchart can provide solutions at work or even in your personal life? For today’s blog post, Maria from Comparakeet has given her perspective on our diagramming tool. Visuals get the point across and are important for planning, productivity, and progress. We all know this. However, quality is key! You wouldn’t hand-draw a six-month project implementation guide unless you were a natural artist. The unpolished result would only distract from its purpose. You’d probably search for a timeline generator online instead. That strategy is fine but inefficient. Some tools only help you create one type of diagram for one purpose; they are single-use. Lucidchart isn’t! Even if design isn’t an innate trait of yours, don’t rely on piecemeal instruments. Whether you’re a detail-oriented genealogy hobbyist searching for a custom family tree maker or a hands-on homeowner in need of a floor plan creator, Lucidchart can help. You can use it professionally, too, as a flowchart maker to punctuate business presentations with images or as a provider of wireframe tools to plan out websites. This company makes it easy for anyone—young or old, beginner or expert—to take control without breaking a sweat. While an older and established program like Microsoft Visio has been a go-to for many users because of familiarity, it can be hard to use! Case in point: Lucidchart is included as one of Comparakeet’s best wireframing tools of 2017. Visio doesn’t even make the list. 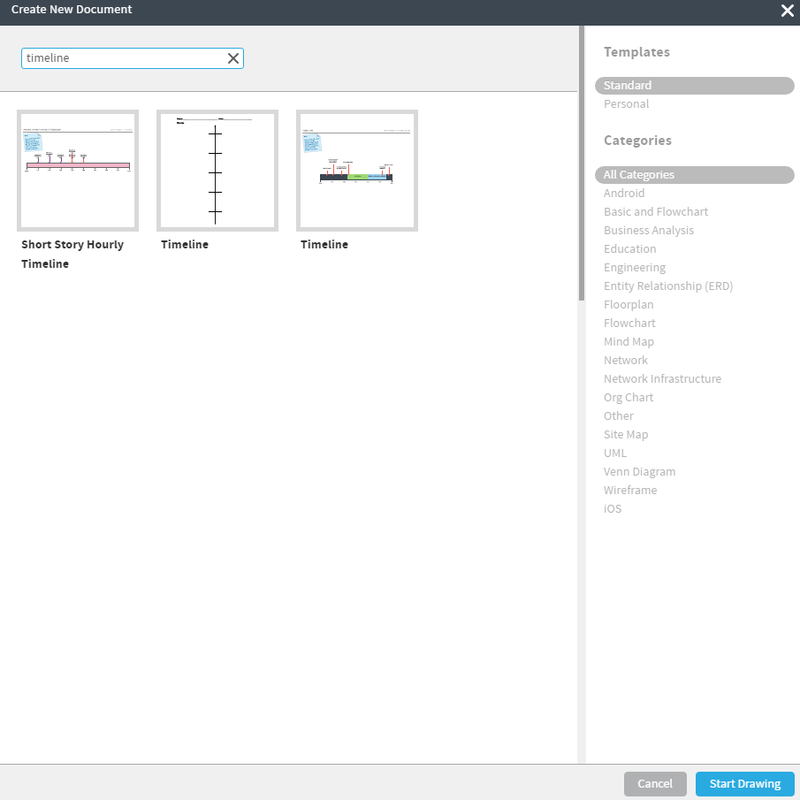 Look for Lucidchart online. Accessible from Internet-capable laptops and desktop computers, it requires no special hardware or software installation—just any major browser. No Visio for Mac? Lucidchart is a complete alternative. You can import and export Visio documents and enjoy more collaboration features and integrations, and it’s compatible with Windows, Mac, Android, iOS—even Linux. Download the mobile app and switch from your workstation to your smartphone or tablet hassle-free. You can also integrate a cloud provider, like Box or Google Drive, with your Lucidchart account. 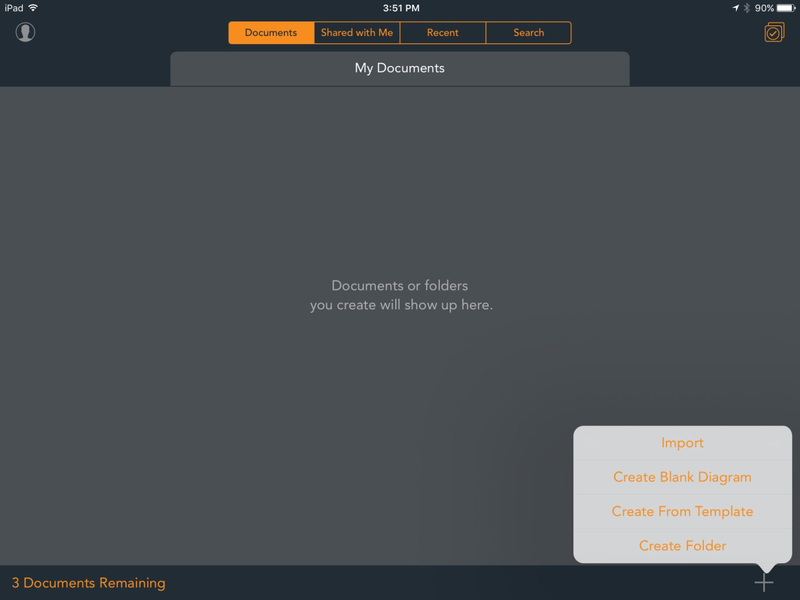 You can access and update your stored documents wherever you go, and any changes you make sync across all devices. It allows you to embed documents in pages online, too, and when you update a document using Lucidchart, what’s embedded also gets automatically updated. There is no learning curve, and what you see is what you get. Coupled with a clean layout, drag-and-drop functionality makes for a truly simple and seamless creative experience. Here we’ve played around with the first template: the Short Story Hourly Timeline. You will realize quickly that each template is very flexible! This particular template was structured to show an hour-by-hour progression of a narrative, but we’ve successfully adapted it to cover a six-month period of a hypothetical project. You don’t need an overly specific guide or a heavy-handed tutorial to be able to create something simple, effective, and useful. Transforming the template into our own vision took just minutes. Elements snapped gracefully into place—the grid and ruler guides really helped us out—and the duplicate function was a time-saver. A successful team needs to collaborate efficiently and communicate well. With Lucidchart, real-time updates are possible even when everyone’s in a different place. 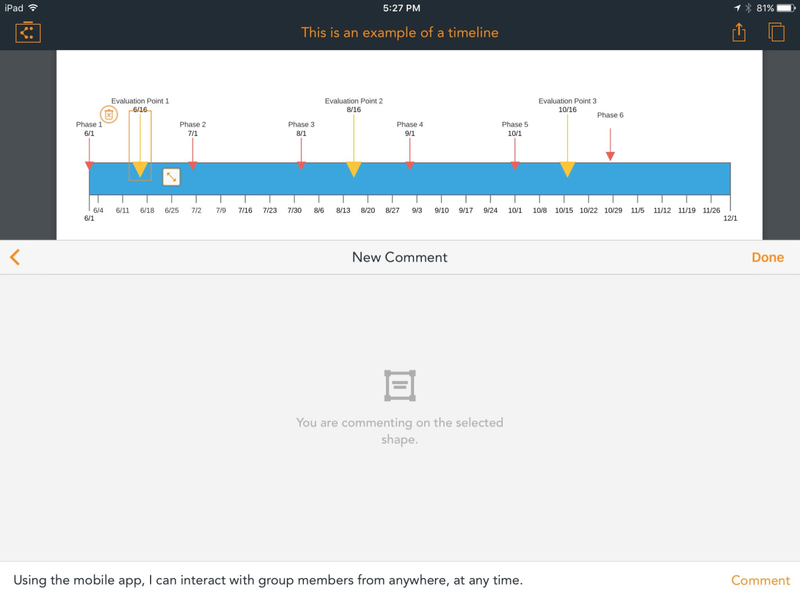 Commenting and chatting functions allow group members to explain and discuss edits, and a revision history log allows you to check older conversations and document changes. You can do this from your laptop, desktop computer, tablet, or smartphone. Notifications ensure that, even when you’re busy with something else, you won’t miss a thing. You can even set permissions per document, a feature that’s useful when you need to share your diagrams with clients. You can also disable or restrict online publishing and sharing for secret or sensitive projects. Site and service maintenance with Lucidchart comes in the form of monthly automatic updates. There are also online forums and a dedicated support team to turn to for quick and dependable solutions for more pressing matters. Support goes well beyond just keeping the engine running, too. Lucidchart is serious about protecting and preserving your data, and because the company provides constant backups of encrypted data stored in secure major global data centers, you will never lose an important document. Lucidchart is not just a mere concept map maker or a productivity tool—it’s both and more. You can use it by yourself, allowing for more structure and creative confidence in the look and feel of your documents. You can use it as part of a big group to encourage synergy and provide a common visual language for co-workers, even across teams. Whatever the case may be, Lucidchart still costs less than Visio and many comparable services. As a casual user, you may already find the basic monthly plan worth it, but should you grow accustomed to the varied uses of Lucidchart and start using it professionally—and with more team members—savings will only increase, and scaling up is properly handled. After all, Lucidchart is used to teams of all sizes, from solo flights to groups 200,000 members strong. As you upgrade your plan, the service levels up, too, showing a dynamic adjustment to your growing needs as a customer and user. No installation, no learning curve. 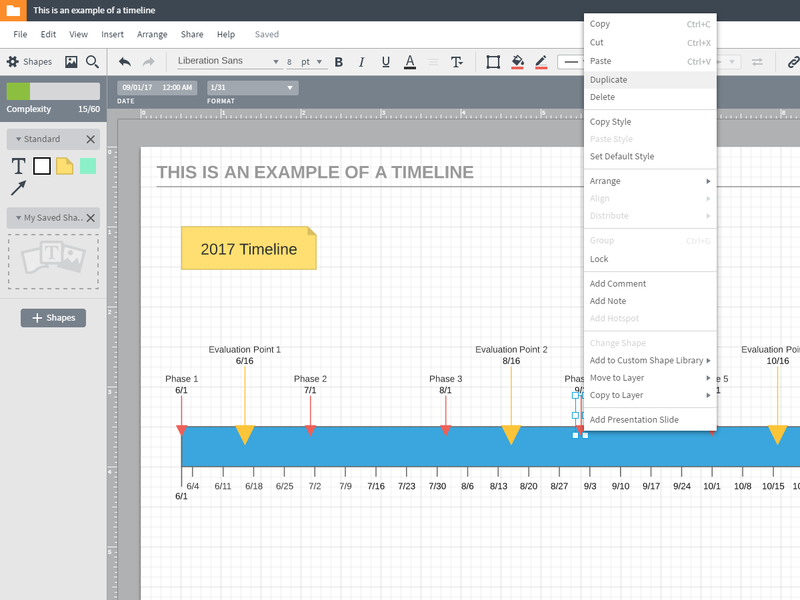 Drag and drop editing, templates, mobile app syncing, integrations, Visio support, collaborative features—all built on a secure foundation. This is how Lucidchart does it. They’ve thought of everything and provided it all; all that’s left for you to do is to dive in. Start your own Lucidchart account today. 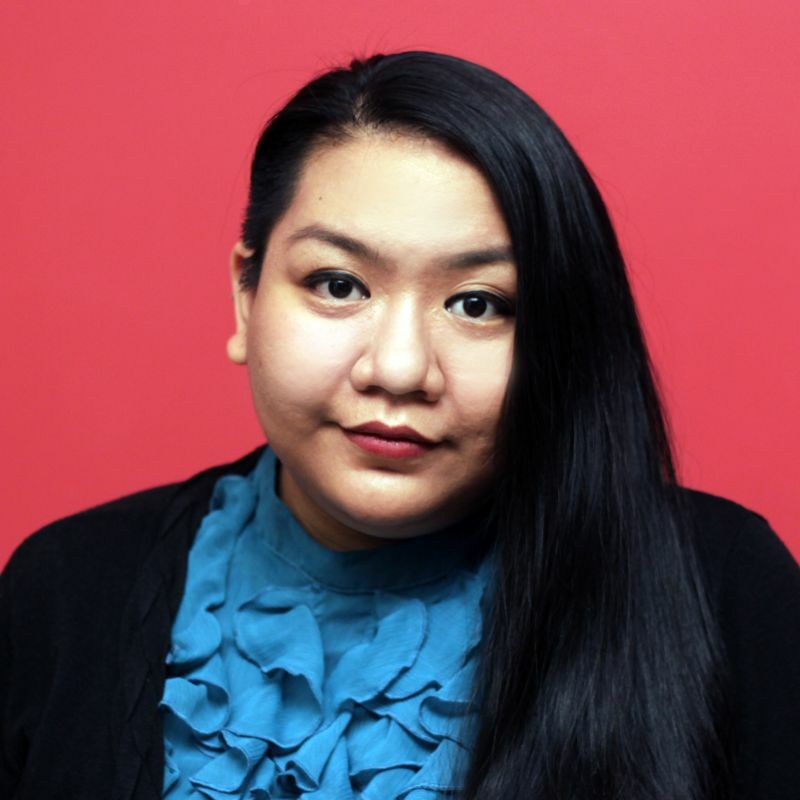 Maria is a writer and editor with a passion for reading, music, and learning new things. She is currently expanding her personal recipe book and learning how to cook more dishes.